The Center for Ethics and the Rule of Law presents “Counterproductive Coalitions”. This event will be held at the University of Pennsylvania Law School at 4:30 pm; followed by a cocktail reception with a book signing. This event is open to the public. Books will be available for purchase. 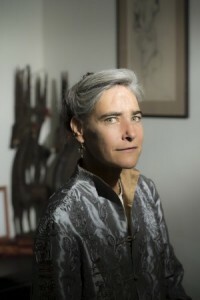 Sarah Chayes, author of Thieves of State: Why Corruption Threatens Global Security, served as special assistant to the top U.S. military officer, Chairman of the Joint Chiefs of Staff Admiral Mike Mullen. She participated in Cabinet-level decision-making on Afghanistan, Pakistan and the Arab Spring, traveling with Mullen frequently to the region. He tapped Chayes for the job after her work as special advisor to two commanders of the international troops in Afghanistan (ISAF), Generals David McKiernan and Stanley McChrystal. She contributed her unique knowledge of the Afghan south to the ISAF command. It was a sense of historic opportunity that prompted Chayes to renounce her journalism career in early 2002, after covering the fall of the Taliban for National Public Radio, and to remain in Afghanistan to help rebuild the country. She chose to settle in the former Taliban heartland, Kandahar. In 2005, Chayes founded Arghand, a start-up manufacturing cooperative, where men and women working together produce fine skin-care products for export. (www.arghand.org) The goal was to revive the region’s historic role in exporting fruit and its derivatives, to promote sustainable development, and expand alternatives to the opium economy. Running Arghand in downtown Kandahar proved to an extraordinary vantage point for observing the unfolding war. From 1996-2001, Chayes was NPR Paris correspondent. For her work during the Kosovo crisis, she shared the 1999 Foreign Press Club and Sigma Delta Chi awards. She is now a senior associate at the Carnegie Endowment for International Peace, in the Democracy and Rule of Law and South Asia programs. Her work focuses on the security implications of acute corruption. Along with Thieves of State, Chayes is is the author of The Punishment of Virtue: Inside Afghanistan After the Taliban (Penguin, 2006) and contributes to The Los Angeles Times, The Washington Post, Foreign Policy, and Defense One among other publications. This program has been approved for 1.5 ethics credits for Pennsylvania lawyers. CLE credits may be available in other jurisdictions as well. Attendees seeking CLE credit should bring separate payment in the amount of $30.00 cash or check made payable to The Trustees of the University of Pennsylvania.